JACK’O’LANTERN (and THE MOMENT and SARAH’S PUPPY) free on 10/29! In honor of Halloween, I’ve made my short story trio containing JACK’O’LANTERN, THE MOMENT and SARAH’S PUPPY free for five days, starting Thursday, 10/29/15, till Monday, 11/2/15. 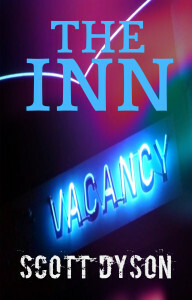 It’s been free before, but this time it contains sample chapters from my novellas THE INN and THE CAVE. 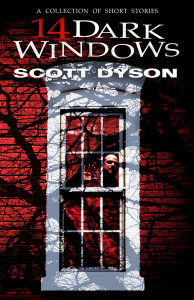 All three stories are also found in the collection 14 DARK WINDOWS, which is priced at only $0.99 and will continue to be priced there for the foreseeable future. Grab it while it’s free! If you like it, grab something else as well! Thanks for reading! 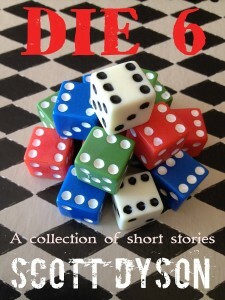 This entry was posted in Uncategorized and tagged Amazon, Free, KDP Select, Scott Dyson, self-publishing, short stories on October 27, 2015 by Scott Dyson. Kindle Unlimited – how’s that workin’ for you? I really don’t know yet. I enrolled all my books in KDP Select and Kindle Unlimited about a month ago — maybe it’s two months, I don’t know. 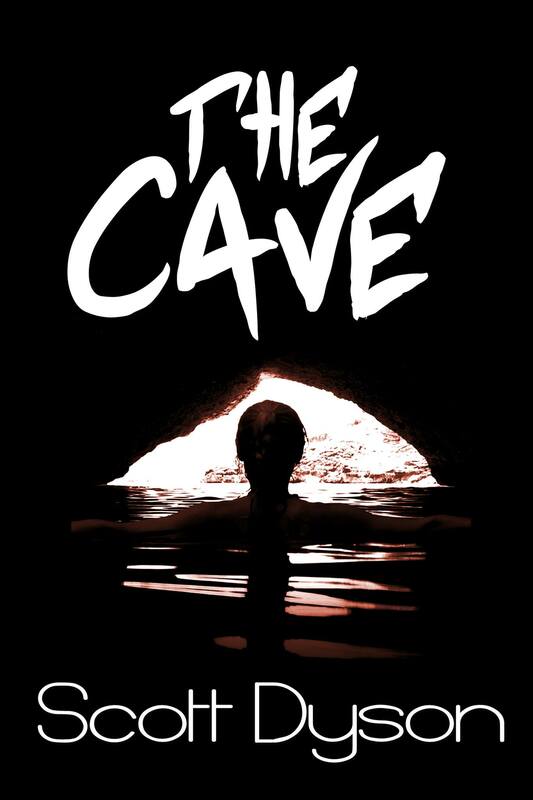 But I did notice that, after day after day after day of zero pages read for Kindle, my novella THE CAVE (see it over there to your right?) all of a sudden had 318 pages read over the course of a couple of days. And my short story DEAD OR ALIVE (it’s not over there on the right, but it is part of THE STRIKER FILES, which is) had 50 pages read. I looked, and THE CAVE has a KENPC (Kindle Edition Normalized Page Count) of 166, as opposed to its stated length of 88 pages. DEAD OR ALIVE has a KENPC of 56. Now, that doesn’t sound like much, but basically it’s two full reads of the novella and one full read of the short story. For me, that’s fine. Those sales would have earned me 35% of $0.99, which is little over a buck. The KU reads paid me more than that; a bit less than two bucks. The way I see it, the more people who grab my stories and read them, the better chance I have of actually getting noticed. And that’s the state of the state right now. 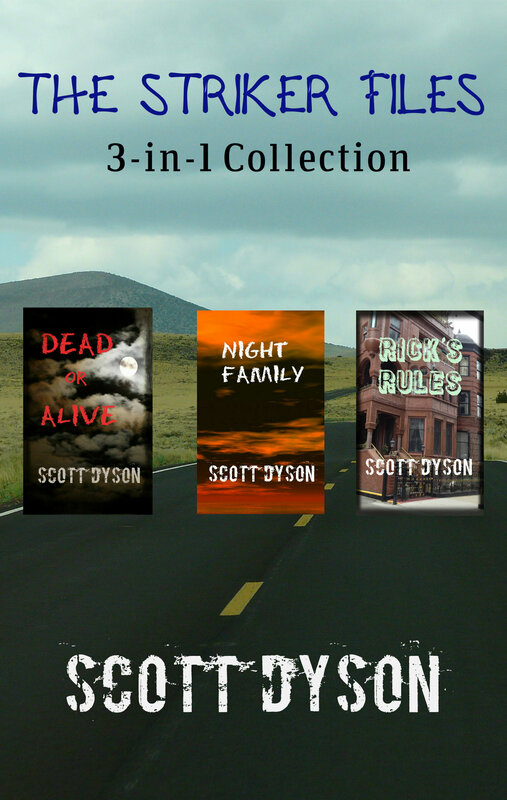 This entry was posted in Uncategorized and tagged Amazon, Business, Kindle Unlimited, novellas, self-publishing, short stories on August 20, 2015 by Scott Dyson. I read two hard SF novels back-to-back, which is something I haven’t done in a while. (Read two hard SF novels in a row, that is…) The first was TIME HOLE by Mit Sandru. (I received this book as a gift!) The second was MORE THAN HUMAN: THE MENSA CONTAGION by Steven M. Moore. (I received this book as a gift as well!) The books have similarities, although they tell very different stories in terms of subject matter and scope. TIME HOLE tells the story of an odd discovery on the Moon, where international teams are working at mining and exploratory operations. A piece of equipment breaks down and a pair of generalists, DeeDee and Arno, are sent to drive the new equipment to the outpost. On their way they encounter a large crater…but this crater isn’t made by a meteor impact, and it had not been noted before along this road. When Arno falls in, DeeDee uses the truck’s winch to pull both of them back to safety, and they make a startling discovery. They aren’t on the same moon that they were on a few minutes ago. Or, perhaps it’s the same moon, but where in time are they? Things are much different. This short novella (47 pages, according to Amazon**) read a little longer than this. It told a lot of story in those pages, and I came to really care about the two main characters as they tried to get back to their own reality, then find themselves “out of phase” and basically invisible as they return to their base and solve a mystery of what caused the huge time hole on the Moon. This is smart science fiction, that requires the reader to think as he reads, and that works around some more advanced scientific concepts. I enjoyed it quite a lot, and if I have a criticism, it is that the first chapter seemed a little dry, too expository perhaps. 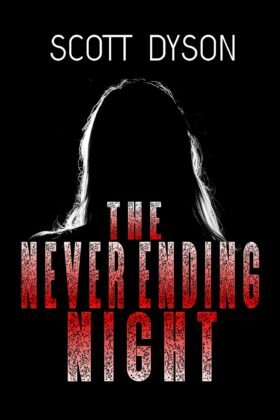 Once the characters are introduced, the story kicks into a higher gear and it became a very good read. 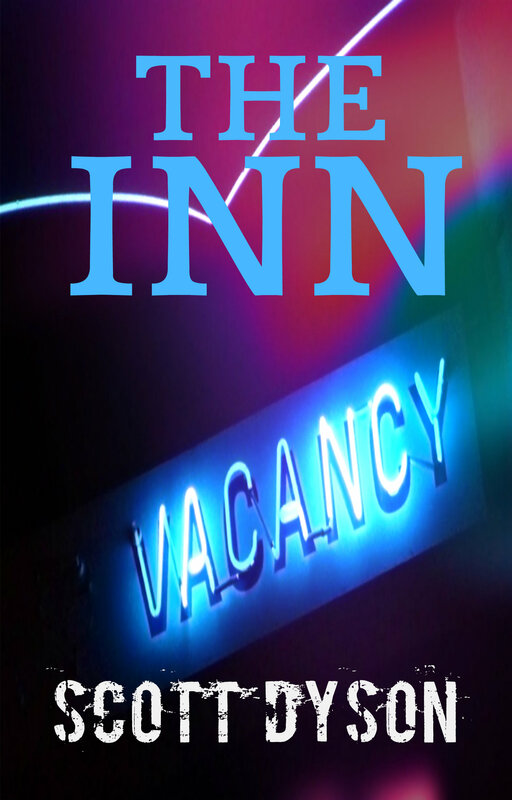 The writing is very good, and it was a clean ebook, few errors in terms of things to be caught by a proofreader. (I don’t really remember seeing any.) I liked the cover, too. Intriguing image. The second book, MORE THAN HUMAN: THE MENSA CONTAGION, promised to be really good and right in my wheelhouse in terms of describing an apocalyptic-type event (disease, one of the standard cataclysms that affect humanity in that sort of book). But It became a lot more than that. It became a far-reaching “history” ala Dr. Asimov and his FOUNDATION/EMPIRE future history. In this story, a meteroid strikes Earth in South Africa, and it carries something with it: a virus. It is quickly determined that the virus is a.) bioengineered, and b.) deliberately aimed at Earth. The story starts with an airline cleaning crew finding a dead body with green sludge oozing from his orifices. The CDC and the government quickly act to lock down the passengers and crew and anyone associated with the plane, but of course, it’s not enough and the virus gets out. Others die before the virus mutates — again and again — into something more benign and even beneficial, perhaps. 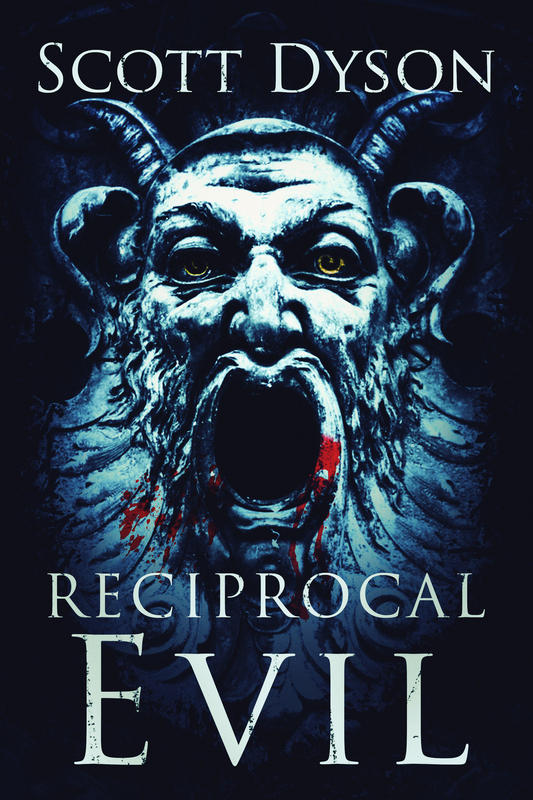 The virus wakes up the world to the possibility that there is something more out there — and the second part of the book deals with man’s colonization of Mars as a response to a perceived threat by aliens who would target the planet with a virus, even if the virus is meant as a gift. The third part of the book deals with the discovery of the aliens’ ship found in the vicinity of Saturn, and the resulting recurrent xenophobia brought on by humanity’s first contact with life from somewhere other than Earth. A lot of packed into the 231 pages of Moore’s novel, which begins to read like a series of short vignettes rather than a continuous story; this style is made necessary by the many jumps in time between significant events. I was reminded of Heinlein stories as far as the flow and pacing of this story. With its cast of hundreds (it seemed; I really didn’t count them), this was a novel with an incredibly broad scope and a quite optimistic, if realistic, take on the future of humanity. In conclusion, I’d say that these are both worthwhile reads for anyone who likes their SF to be of the “hard” variety. I’d grade them both as “A”. 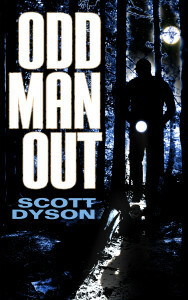 This entry was posted in Uncategorized and tagged Amazon, book review, ebooks, fiction, science fiction on August 3, 2015 by Scott Dyson.